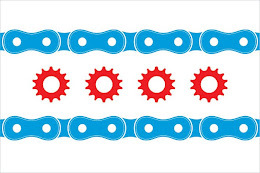 The author of IllinoisBicycleLaw.com, Attorney Mike Keating, was interviewed by a reporter for the Morris Daily Herald about a deadly accident in which I bicyclist was killed. You can read the article here. The story is very tragic and very complicated from a legal standpoint. Both the deceased bicyclist and the driver of the car are alleged to have been driving while intoxicated. Furthermore, the intersection where the collision occurred is reportedly very poorly lit and does not contain traffic control signals. You can read the prior post on IllinoisBicycleLaw.com about this incident here.